ASUS shows off its next generation high-end Intel desktop motherboards featuring the new Intel X299 chipset for the new Intel Core X-Series processors that offers processors of up to 12 cores and support for quad-channel DDR4 memory of up to 128GB. 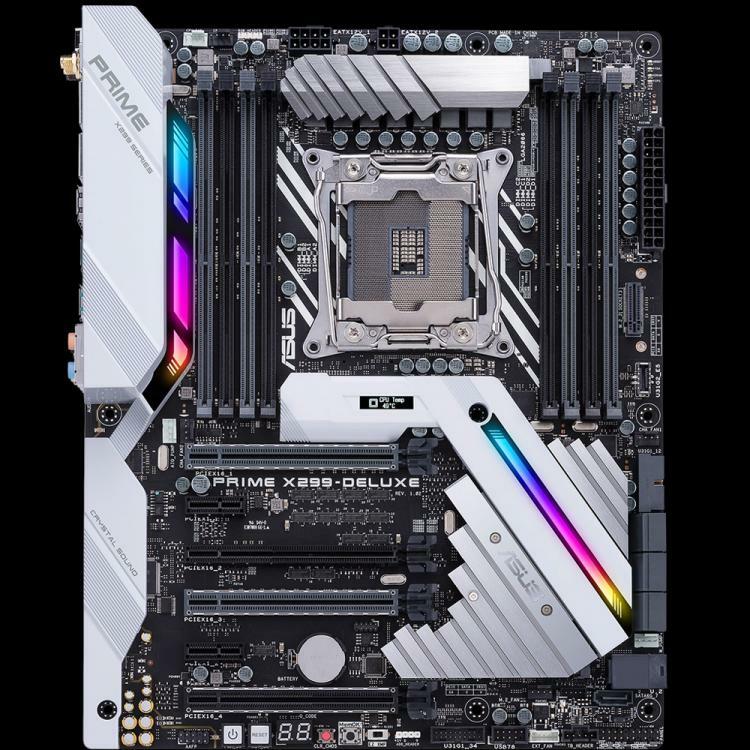 ASUS introduces seven new Intel X299-based motherboards, three under ASUS Republic of Gamers series, two under the Prime series and another two for the TUF X299 Series. 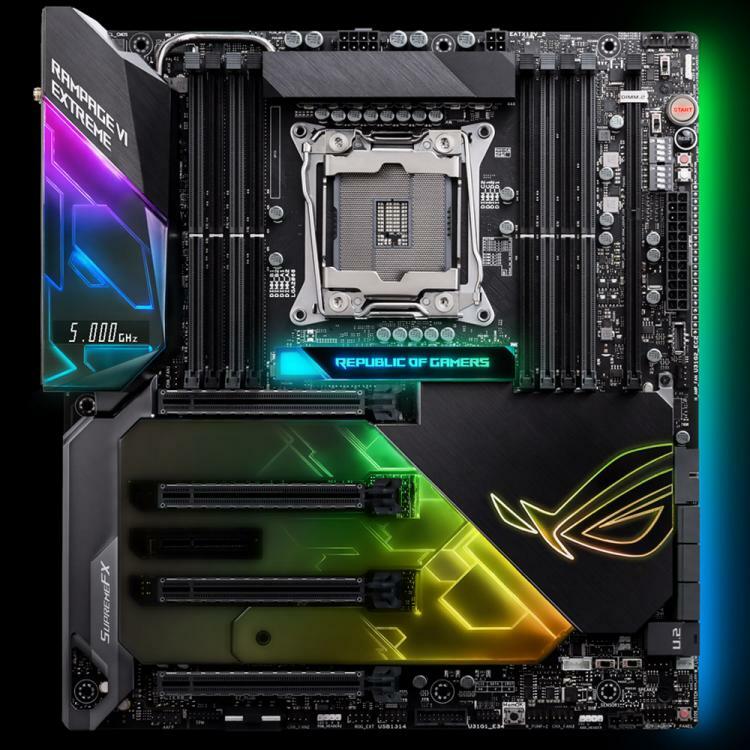 The three ASUS ROG X299 motherboards features the highest-performance gaming features with ultra-fast networking, superior custom liquid-cooling support and record-breaking performance. Personalize with RGB illumination options, listen to the latest generation SupremeFX integrated audio, along with a plethora of new Intel technologies such as Intel Optane Memory, VROC technology and others. Two of the three motherboards have been pictured as of this moment. 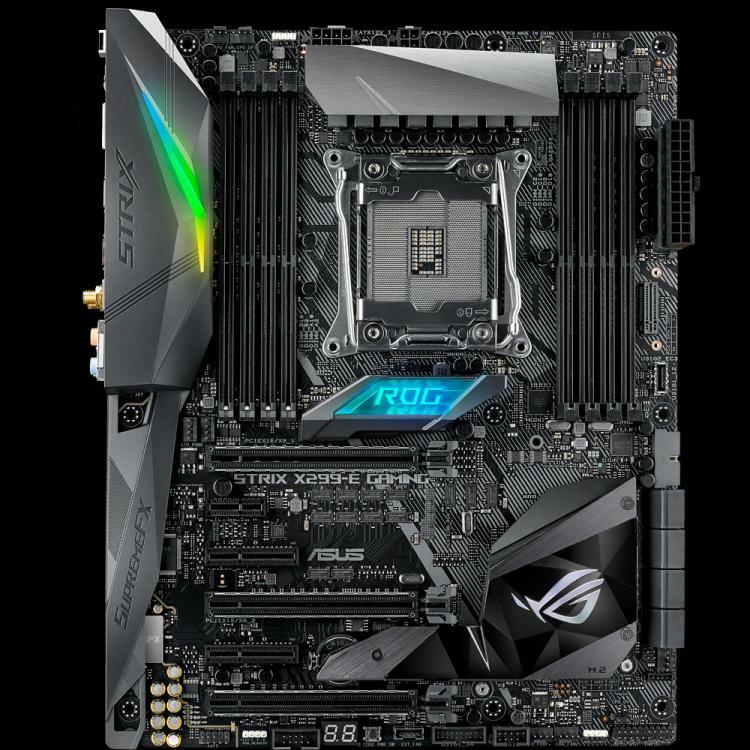 The new ASUS Prime X299-Deluxe is for high-end builders who want it all while the ASUS Prime X299-A skips the extra features in favour of a straightforward approach that gets back to basics. The ASUS Prime X299 series supports up to three-way graphics configurations, and their x16 slots incorporate structural reinforcements with ASUS' SafeSlot technology to prevent damage and protect your investment. The Prime series also supports Intel Optane Memory and features the latest generation audio chip – the Realtek S1220A codec. 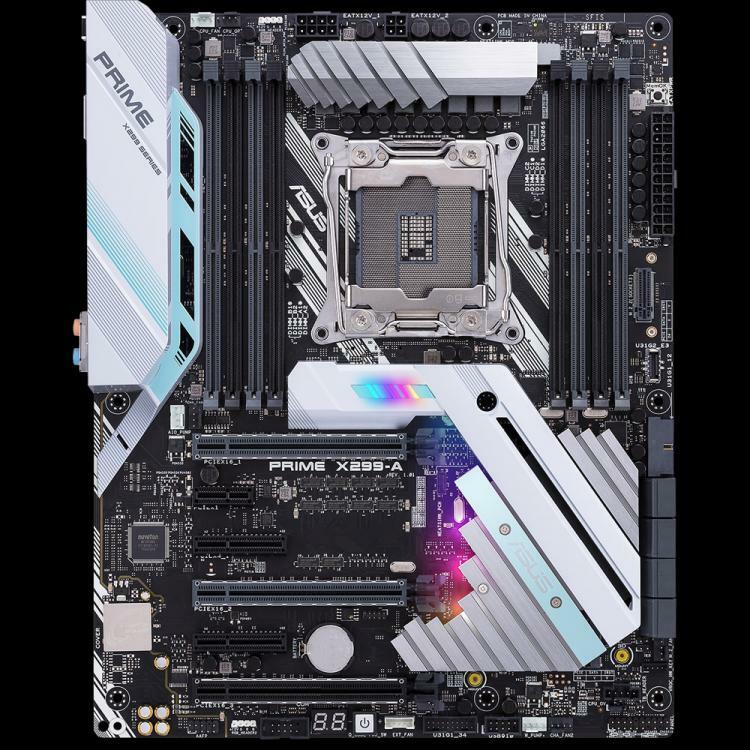 Check out the new ASUS Prime X299 motherboards below. 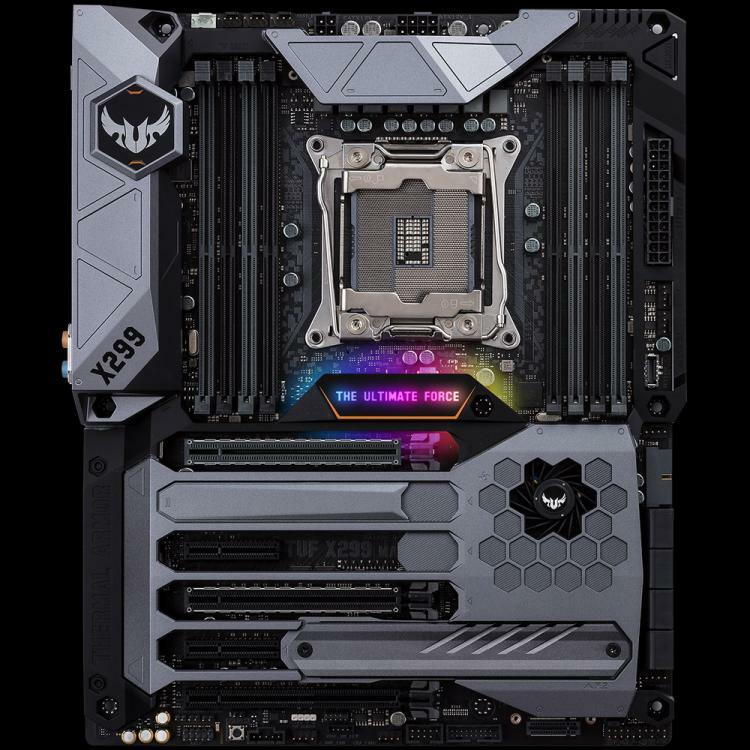 The ASUS TUF X299 Mark 1 stands out from its competitors with protective armour and advanced cooling options, while the ASUS TUF X299 Mark 2 strips down to the essentials for X299 builders who want to deviate from the conventional formula. These models march to a different beat that prioritizes reliability and durability for PCs built to go the distance. They use tougher components than conventional counterparts, and they’re subjected to more stringent testing. 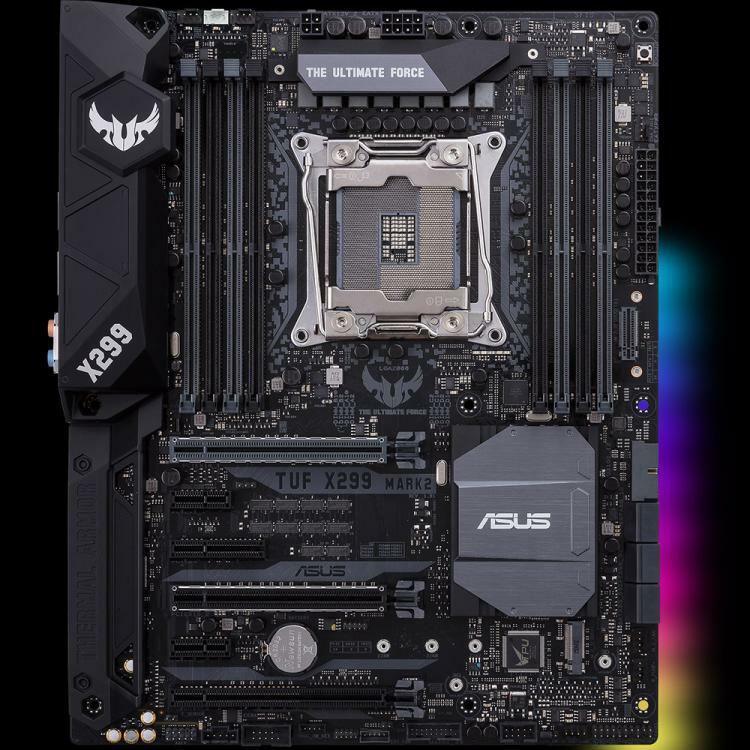 Check out the new ASUS TUF X299 motherboards below. All the new ASUS Intel X299 motherboards will be out this June 2017, pricing will be announced by 19th of June, 2017.